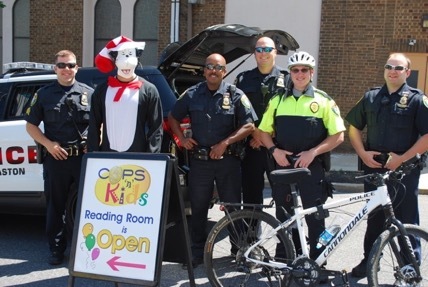 The Cops ’n’ Kids of Easton Children’s Literacy Program has been established to demonstrate to our children the commitment of our community to their growth and well-being. Partnerships are established and cultivated with the Easton area educational community, police and fire departments, municipal leaders, businesses, organizations, and caring, committed volunteers who personally or through membership in organizations, devote valued time to positively impact the lives of our children. Collecting new and gently used books from books drives and individual donations made at designated locations in the Easton area. Storing, sorting and labeling books for future distribution. 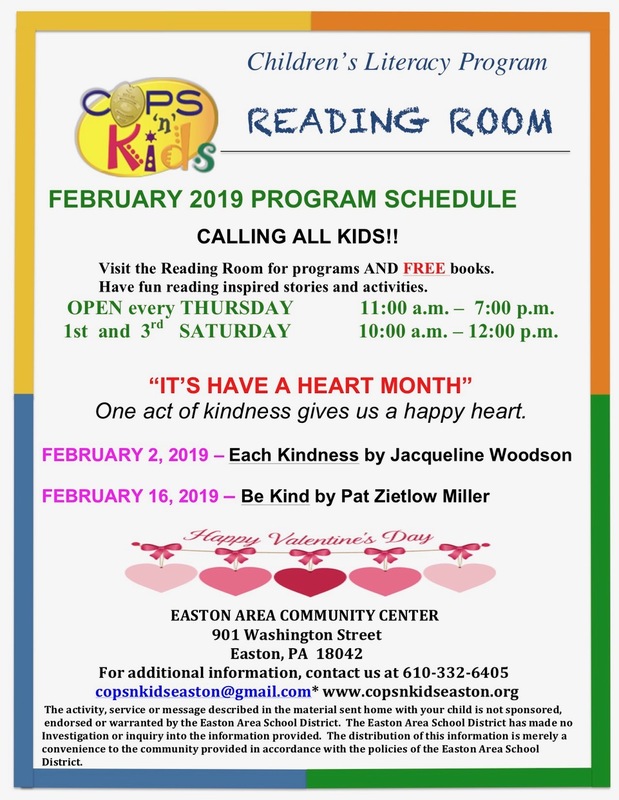 Partnering with the Easton Area Community Center to provide the Reading Room that maintains fully stocked book shelves where children and parents are encouraged to stop in to share time reading stories and to select free books, as well as to interact with police officers. Distributing books to youth throughout the Easton area by supplementing school and organization libraries, reading programs of local organizations, distributing books at community events. Bringing the community into the schools to read to the students whenever possible with volunteers that include police officers, high school and college students, municipal leaders, retired teachers, and members of the business community and local organizations.